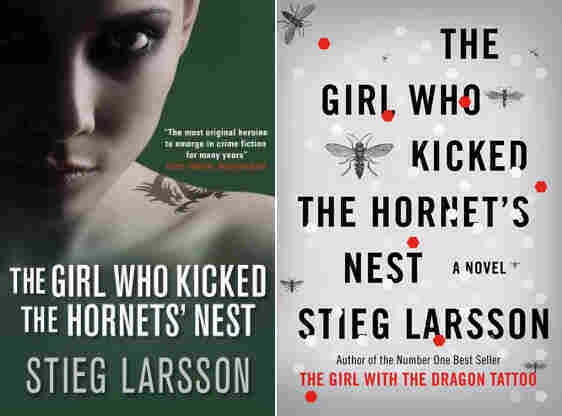 American Readers, Waiting Impatiently For 'The Girl' The first two books in Stieg Larsson's Millennium trilogy are megahits, and the third, The Girl Who Kicked the Hornet's Nest, comes out in May. But some American readers don't want to wait that long — they're importing the book from England, where it was released last year. Some American readers who have grown impatient with the wait for Stieg Larsson's The Girl Who Kicked the Hornet's Nest have bought editions published overseas. The cover of the British edition is at left; the American edition, due from Knopf in May, is at right. Every now and then, a book series comes along that becomes an obsession for fans. Not too long ago, kids were lining up at midnight for the latest Harry Potter book. 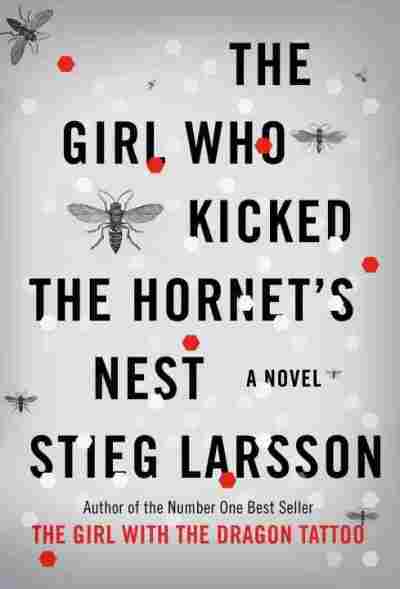 Now it's adults who can't wait to read The Girl Who Kicked the Hornet's Nest, the final installment in Stieg Larsson's Millennium Trilogy. But in this country, they're not lining up at the local bookstore — they're ordering their copies from overseas. Larsson's trilogy is a genuine publishing phenomenon. More than 3 1/2 million copies of the first two books are in print in the U.S. alone. A film version of the first book, The Girl with the Dragon Tattoo, has just been released. And the U.S. release of the third book is scheduled for May 25. Paul Bogaards, executive director of publicity for Knopf, the U.S. publisher, says no one knew how big the books would be. 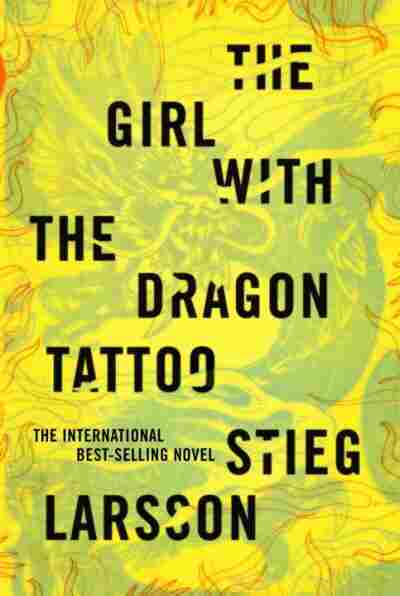 "We thought that Stieg Larsson, as an author, should be a best-selling author. But did we see the juggernaut on the horizon, the international juggernaut that Stieg Larsson has become? No." 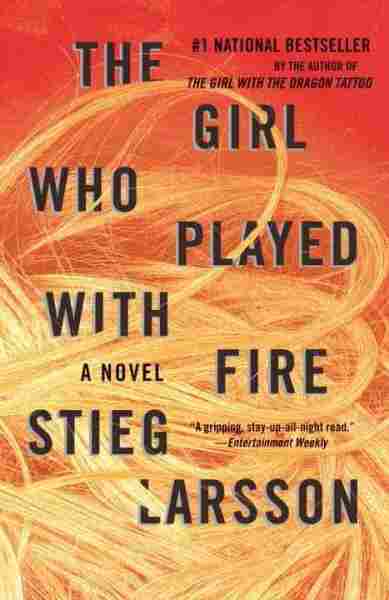 Knopf obtained the rights to the books after Larsson's death in 2004. At the time, he was unknown in the U.S., so the publishing company's first priority was to introduce him to the public. At that point, they didn't think about the need for a simultaneous release of the books in different countries. They just wanted time to build interest with the release of each book. They had no idea that avid fans would be so eager to get their hands on The Girl Who Kicked the Hornet's Nest. As John Gomperts, one of those fans, puts it, "Once you know you can have it, once you know it exists in English and you can buy it, it would be crazy not to." After a friend told him the book would be available in Britain long before its U.S. release date, Gomperts didn't waste any time. "She said, 'Well you know you can just go to [Amazon.co.uk] and buy it.' And, in fact, she said, 'I've already been there, it's coming out on Oct. 8.' As it turned out , it was released on Oct. 1," says Gomperts. "I had it and had already read it by Oct. 8." 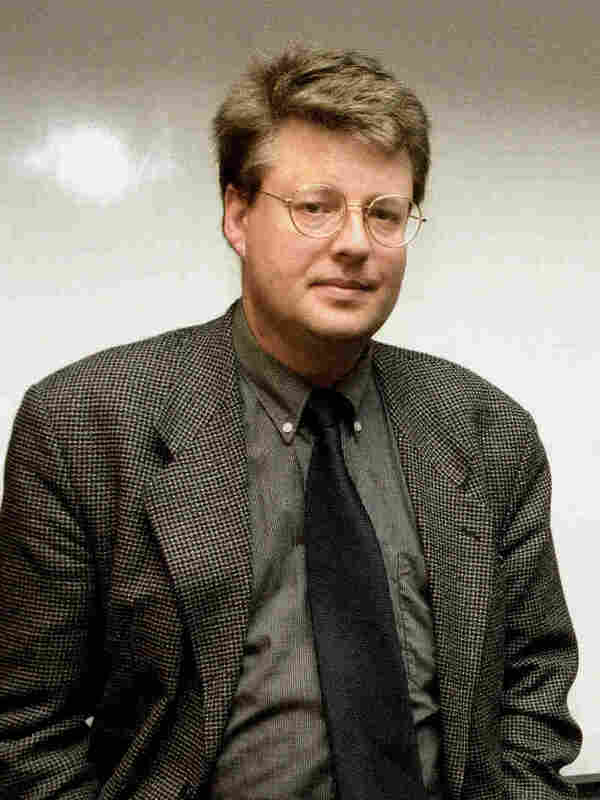 Author Stieg Larsson, shown in this 1998 photo, died in 2004 after completing three books in his "Millennium" series. Celeste Warrington, of Cincinnati, says that impatience got the better of her, too. She had already read the first book in English when she discovered that her husband had bought the second book, The Girl Who Played with Fire, during a trip to France. It was part of a pile of books her husband had gotten to help him with his French, and Warrington instantly realized her husband didn't know what a treasure he had. "So I called him and I said, 'Can I take this book? You can read the first one in English, I would like to read this one.' And I did and loved it," Warrington says. "He read the first and second and loved it, so we couldn't wait. We jumped the gun and went on Amazon.fr and ordered the third one. And we ordered two copies 'cause we realized we were not going to be able to share." All this online book-buying did not escape the attention of book sellers, like David Thompson of Murder By the Book mystery bookstore in Houston. Thompson says the store wanted to honor the U.S. release date, but it kept getting harder and harder. "We had gotten several very loyal customers who just absolutely needed the third book because the second one ends with such a cliffhanger you really, really want to read that third one right away," Thompson says. "And so we felt that it was really important to serve our customers and import these books that there was a desperate demand for." Eventually Knopf found out that Thompson's store and others were importing copies of The Girl Who Kicked the Hornet's Nest and selling them to their customers. Knopf asked the booksellers to stop the practice, because says Bogaards, "it's a violation of copyright law." But even online booksellers like Amazon.com are supposed to honor the U.S. release dates, which Bogaards says consumers may not know. "What I would say to readers is, I would encourage them to shop at their local bookseller here in the United States or their online bookseller in the United States, where no laws are being broken and you are supporting the continuing discovery of world literature," Bogaards says. And if the much speculated-over fourth book in Larsson's series surfaces? What then? Bogaards answers with a careful chuckle. "If there is a fourth book — and we know that there are 200 pages of a fourth book somewhere — I can assure you that we will consider, if we ever have the opportunity to publish it, we will consider publishing it simultaneously with our U.K. partner." Fans like John Gomperts would love another book, but having already read the third one, Gomperts says the last 100 pages of it were so satisfying, he doesn't mind stopping right there.